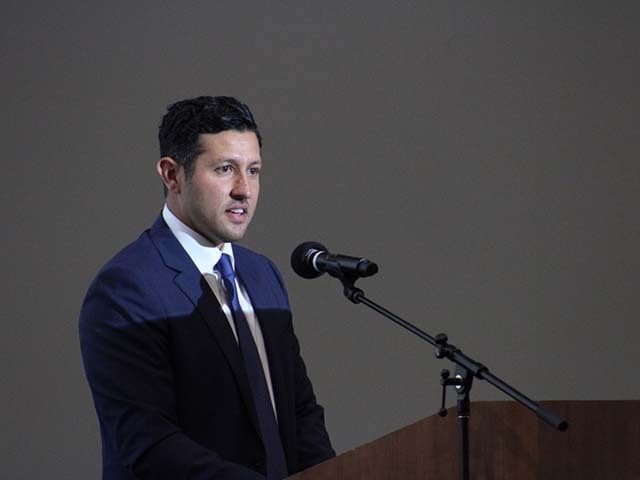 On November 17, TorkLaw founder Reza Torkzadeh gave the keynote speech for the 2018 graduating class of the University of California, Irvine School of Law’s Saturday Academy of Law (SAL). This program provides 9th-grade students a chance to learn about the legal profession while improving their writing and critical thinking skills. During Reza’s speech, he spoke of being part of an immigrant family from Iran, coming to the United States to escape persecution for their belief in democracy. He acknowledged his gratitude for the lessons he learned from his parents: how they showed him the meaning of hard work and commitment; how they encouraged him to never, ever give up on the pursuit of excellence, and how they taught him that it’s never wrong to do the right thing, even if you fail — but it is always wrong to do the wrong thing, even if you succeed.